Find out how to Manage Stress, Regain Energy and Concentration the Easy Way. Unleash the Power of Your Brain: Recharge for Better Health, Mood, Energy, and Concentration. Flow: Europe’s newest biofeedback system for training concentration and focus, eliminating troublesome thoughts, and clearing the mind. Now available directly in the USA. For professional psychologists, psychiatrists, and trainers to help their Clients, and anyone wishing to better manage stress, thoughts, and emotions by self-training at home. (Also suitable for children over 5 years of age). My name is John Williams. My team and I have been designing mind training devices for 12 years and I’m excited to tell you about the latest result of our research the Flow System. We have already created 4 devices with 7 versions altogether since our beginning, so we know our systems work. Armed with all this expertise, time has come to release a system for mobile devices. Experts from various countries were engaged to do what they do best. The Flow was created across three continents. System design was developed in the USA, devices are assembled in China, and software for the entire world is developed in Europe. Allow me to explain what the system contains and how it works. Control the game using only the power of your mind. (You are training your mind by playing). Attention: attaching the sensor properly is now super easy. As soon as the sensor receives a signal, a light will flash on the device. You know at once everything is working properly. We also added a big clip to the device. With it, you can attach the device to your clothing. Using the system will be even more comfortable. With the Flow System, you will improve your Memory and Concentration. The games will teach you how to focus at any time. All this with user-friendly software. The System contains an entire Set of Training Games. Crystal Clear. A Game for Clearing the Mind. Teaches Instant Focus. You control water. See how different droplets appear as you change the focus level of your brain. The clearer the mind, the larger the drops and the sooner the bowl gets filled. See how quickly you can complete this task using only the power of your mind? Energy Booster. A Computer Game to Help Manage Annoying Thoughts. Regain Concentration and Energy. Instant Stress Relief. This Game Will Teach You Instant Relaxation Technique. Finally! Instant Relaxation Now! Psychological research shows how you can easily and totally relax in a matter of seconds, using a method learned by playing this simple game. Once you start playing you will be amazed how much more quickly and effortlessly you will cope with even the most nerve-racking situations in your daily life. This simple game will train your mind with a powerful technique which will provide instant relaxation. It works is by harmonizing your breathing with your heart rate (HRV). Clear instructions are attached. Even a child can do it! Let this machine work on your mind for one evening… I can guarantee that your friends will gossip about the “Mental Magic” abilities you will be able to show off the next morning. Breathing in and out follow the movement of the wave and discover how your breathing pattern influences your heart beat. Breathing methods are the oldest relaxation techniques, but now you can see for yourself how they work on your body and you. Even the best system in the world will not work if you don’t use it. Flow uses a point system and rewards making the game even more fun to play. Points earned from each game are added to your total. If you agree we will post your score for others to see. It’s up to you. Sum of the scores of all users is posted at the top of this page live! Comparison of all sessions and summary of each training. The software can be configured. Standard settings are optimal for most players. However, more experienced users have more options to choose. 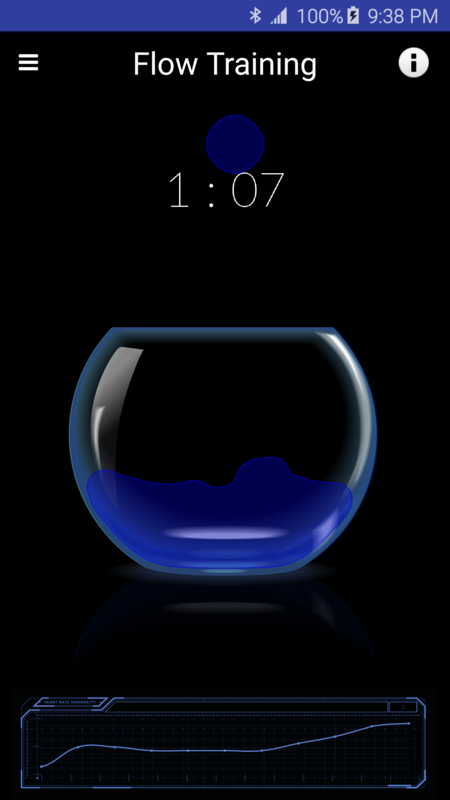 Among others, you can set session length, music on/off, biofeedback sounds, way the session is saved. If you only wish, you take full control over the software. You will receive free updates on our latest version of the system. We will notify you when new games are available. We design our software for you. We care about you and want to hear about your results. After ordering Flow, you will receive a special link to our member forum where you can share your opinions with other users and help our company create products designed to suit your individual needs. Your suggestions really influence subsequent software versions. According to psychological research, programs that help you relax and reduce your stress can also be helpful in getting rid of headaches, to sleep better, relieve depression and other everyday ailments which are caused by daily stress and problems due to lack of concentration. 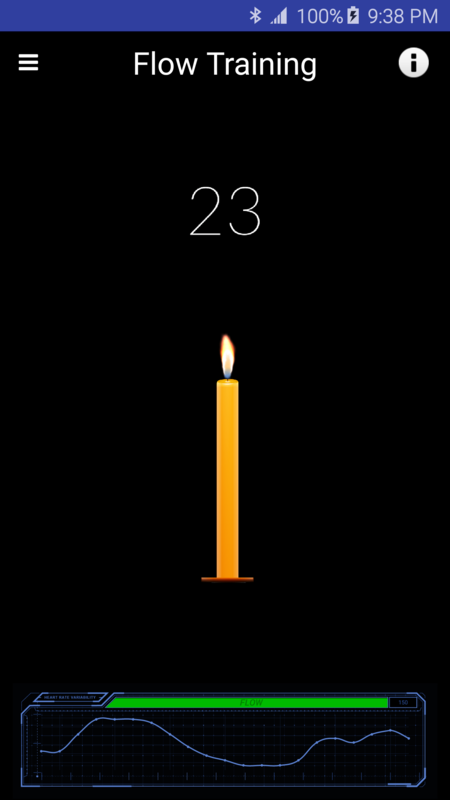 You will protect your mind and add many delightful years to your life. Feel better and live longer! Driving Force. Why it works and what’s inside. Flow is a biofeedback-based device which uses the same technology developed by NASA researchers to help astronauts control their emotions and behavior while working with millions of dollars’ worth of equipment and others in confined spaces so they would be able to function and act effectively regardless of the conditions. This is how biofeedback (biological feedback) was born. • Biological: involving a living organism (human). • Feedback: exchange of information between a human and a machine, where information read by a machine is delivered to the human and affects personal performance, which is then fed back to the machine. A circle of information is created.• With our system, games are played by controlling your mind. Biofeedback HRV. A detailed description of the method. The Flow was developed based on many years of research and experiments. Flow system is a descendant of its PC-based equivalent, Stone. The system is based on biofeedback HRV, i.e. analysis of heart rate variability. When measuring your heart rate, you will notice that it keeps changing. It adapts to whatever you are doing or thinking. Research shows that when you are under stress, lose concentration, or lack focus, your heart rate is different from the times you are relaxed, concentrating, and focused. Heart rate changes not only from variation in your physical activity or emotions but also when inhaling and exhaling which are known as Mayer Waves. By applying various time scales, you can measure the synchronization between heart rate and breath, or the regularity and stability of the heart rate. 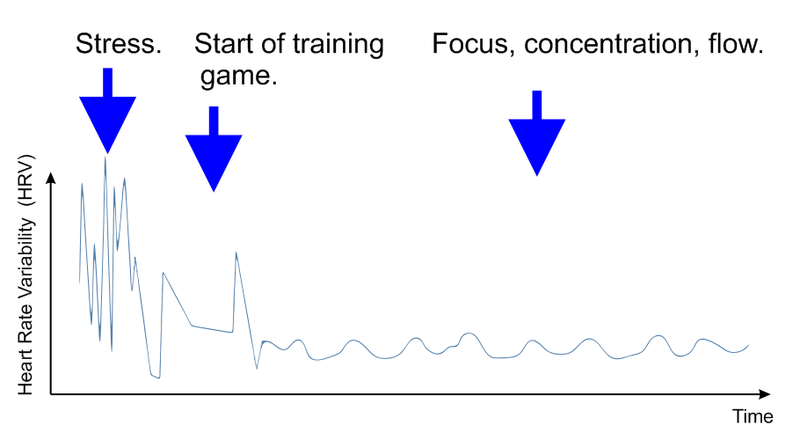 Graphs below show heart works when stressed and when focused. You will be monitoring your heart rate to determine your level of relax and focus. 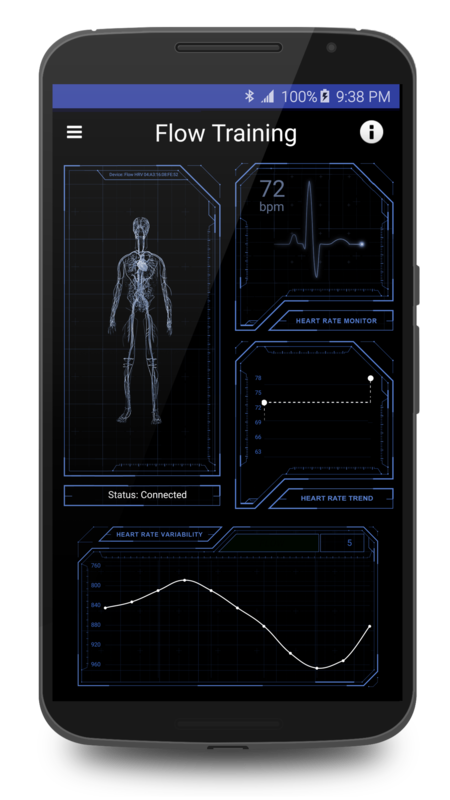 Then, the Flow will read your heart rate and transform the raw data into a game for you to play. This is how Flow works. Reads your heart work and replace this numeric data to immersing game. Here’s how you start your game. When you change your thoughts and emotions, you will be changing the action on the screen. If you are distracted at the time you are playing your game, you’ll get different results than when you are concentrating and are focused. You get more points and your score will improve the more you focus. As you play this game on a regular basis, you will soon discover how much your thoughts affect your body. You’ll learn how to consciously adjust your thoughts for more peace of mind and find it easier to maintain your inner balance, making it easier to stay focused. While maintaining the same result quality, measurement analysis in Flow is 3 times faster than it would be with the old FFT method! Is it useful? It is crucial in the games and for the entire biofeedback idea. Flow technology makes the analysis 3 times faster than the FFT method and users love that because they get feedback three times faster. You see how your body is reacting immediately on the screen. Flow’s multi-factor analysis also provides a maximum amount of information on your emotional state. You receive this information while having fun and playing a game that you control with your mind. A training session can be supervised by a professional. Because of ultra-portability and wireless of the system, a therapist can easily watch the results on a phone and guide the patient. Graphs have a zoom function and can be enlarged to display greater detail. The software allows researchers access to the recorded files that contain raw data which can be used for additional detailed analysis. Flow analyzes complex information for you. The program is easy to run, operate, and understand. The games and most of the graphs were designed so that even a five-year-old would understand them. If you have any questions, contact our support team by phone or e-mail. 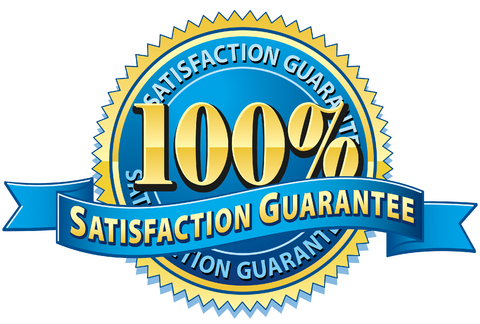 No Questions Asked 100% Satisfaction Guarantee. 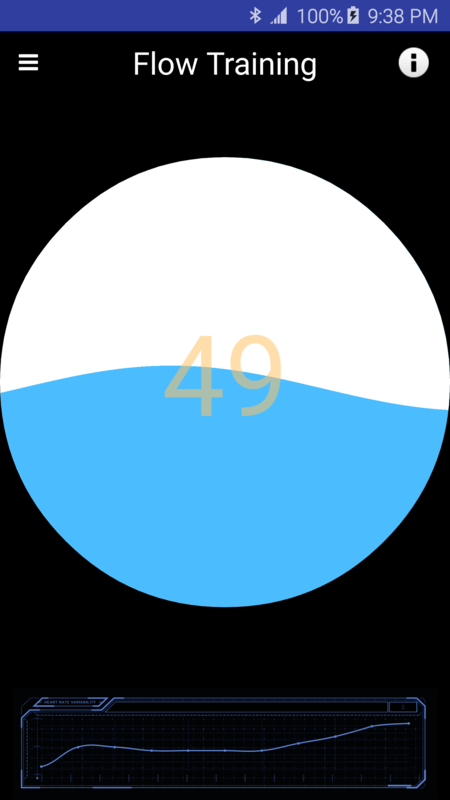 You can test the Flow for 30 days. Keep it only if it meets your expectations. If not, return the product and I will give you your money back, no questions asked. The Full product purchase price will be refunded. You are responsible only the cost of shipping. In other words, if you aren’t happy for any reason, just let us know. We’ll give you your money back. We obviously don’t think it’ll come to that, but if you’re even the least bit worried if this will work for you, then put your mind at ease. You either get the results you want or you will get your money back. It’s as simple as that! 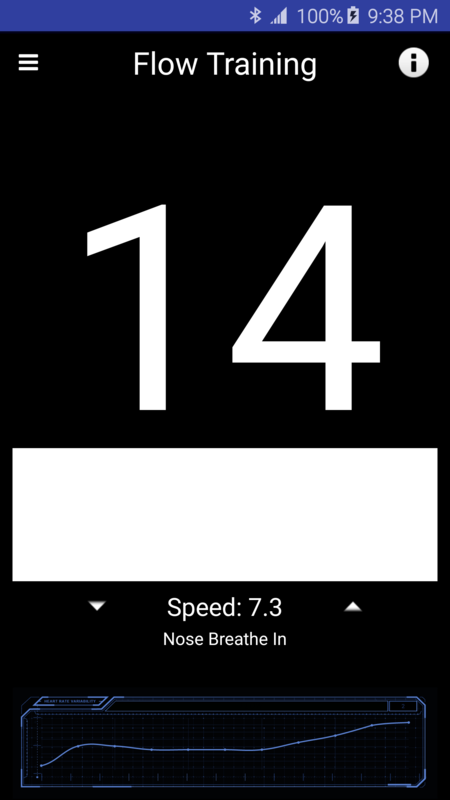 Flow works on phones and tablets with Android. To check if your device supports Flow click here and start free software installation. If the installation is successful, your phone or tablet can work with Flow. • Android Software Package: 3 games with progress analysis and a motivational system. One extra game free. 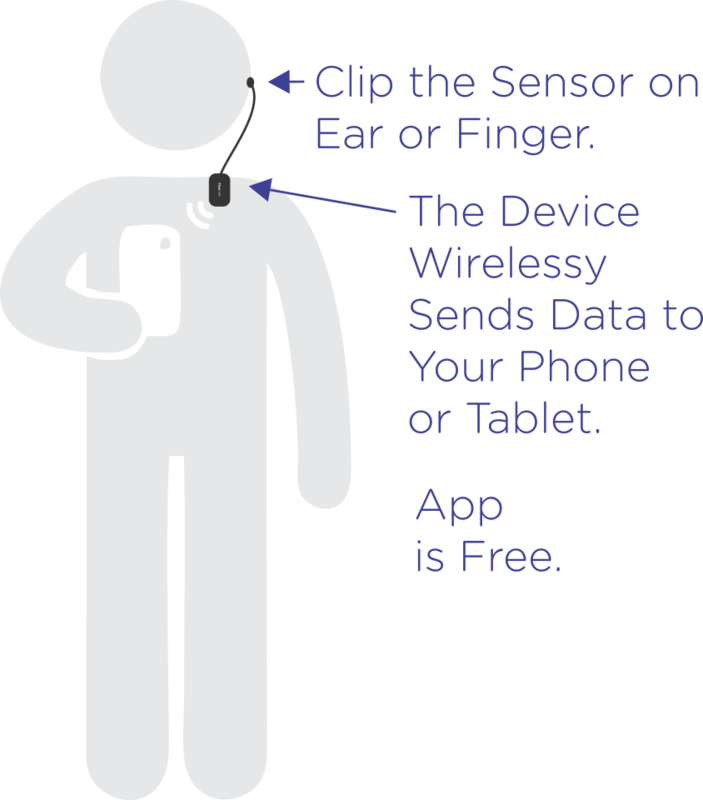 • Biofeedback Sensor: a heart rate sensor to be attached to your ear or finger. (Requires only periodic cleaning with a dry cloth). 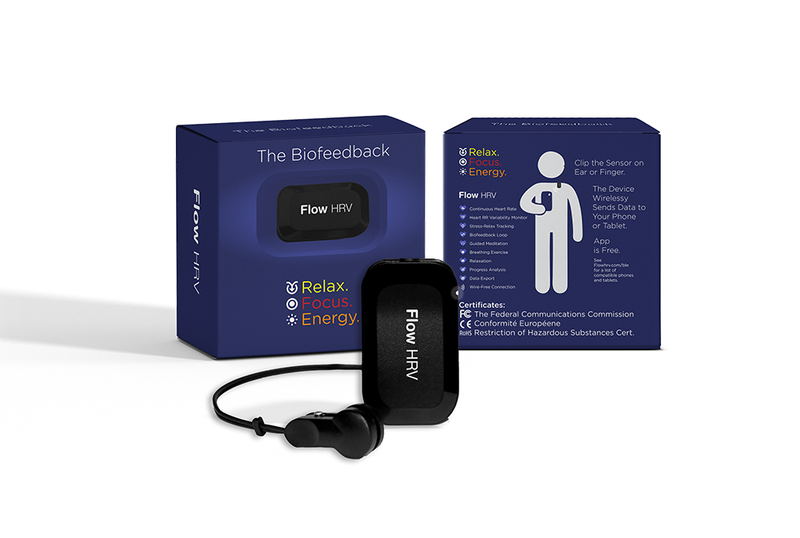 • Flow HRV device: analyzes data from the sensor and sends it to the phone wirelessly. (Rechargeable battery included) Easy Installation. Order online at Ebay.com or Amazon. Fast Shipping from the US.